Because the neck is so visible and exposed to the sun, it is one of the most susceptible regions to wrinkle and develop other signs of aging. A neck lift is a great option for reducing signs of wrinkles or loose skin and gaining a more youthful appearance. At Smith Plastic Surgery, our board-certified Las Vegas plastic surgeon treats patients who wish to achieve improved facial aesthetics. Should I Get a Neck Lift? Your decision to get a neck lift is personal. We invite you to meet with us to discuss your options and how a neck lift may benefit you. 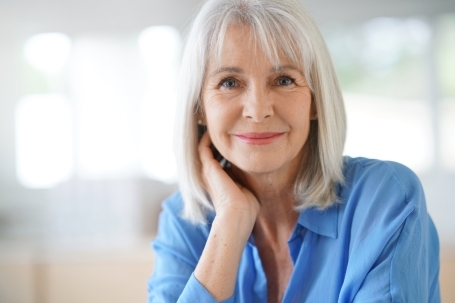 Virtually anyone can undergo a neck lift, but most of our patients are 40-60 years old. You will need to have some elasticity in the skin of your neck and be in generally good health. Typically Dr. Smith will perform a neck lift procedure under local anesthesia on an outpatient basis. Other options may be available depending on your situation. A small incision will be made between the chin crease or behind the ears and excess skin and fat are removed. If it is needed during your neck lift procedure, Dr. Smith may tighten your neck muscles to help further improve your appearance. As a multi-board certified plastic surgeon in Las Vegas, Dr. Lane Smith works to help you achieve your aesthetic goals. He provides you a customized surgical plan designed to ensure that your desired results. If you are considering a Neck Lift procedure, Smith Plastic Surgery is ready to help you achieve a newer, youthful look. Please contact our office now at (702) 838-2455 to schedule a consultation.